We are approaching mid July and things have been amazing so far. This was shot on the 10th as the second round of powerful storms hammered the area around Lake Powell. 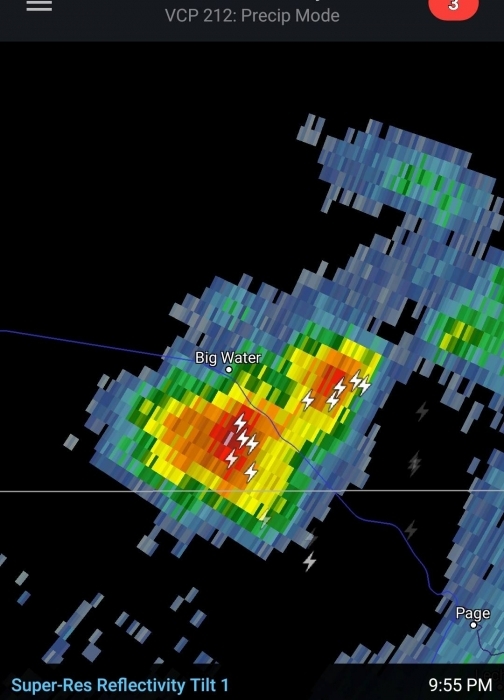 This storm blew up just outside of Big Water then tracked along highway 89 towards Paria Utah. My wife and I chased this beast along the highway to Paria watching bolt after bolt light up the sky just a mile or two south of us. Amazing show. Clearly visible in the image is the rain foot of the microburst heading to the left in the image (north). Single exposure.